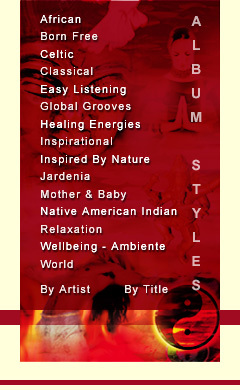 Lifestyle Music, from NorthStar Music, aims to provide music that captures the very essence of living a well-balanced life. Setting aside a regular time for listening to music can truly help you create a refuge for the mind and soul, far away from the stresses and worries of the modern day life. We believe that we have created a range of lifestyle music albums that reflect positive thinking and vitality, and which are about acquiring a sense of true wellbeing. Music can lift your sense of optimism, provide peace of mind and give you a chance to lose yourself in a cocooning ambient space of timelessness. To buy a physical copy of one of our releases please visit: www.newworldmusic.co.uk. Our albums are also available in digital format via Amazon & iTunes. 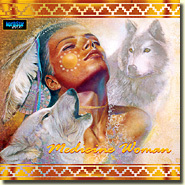 Discover more on the Medicine Woman album page. Subjects covered within these categories include music for Reiki, Feng Shui, Yoga, Sleep, Tai Chi, Aromatherapy, Massage, Shiatsu, and Pilates. “Just wanted to say thanks for the speedy delivery of the two sampler CDs I ordered. They arrived on Tuesday - & the little card was a nice touch, too. © 2014 North Star Music.